Throughout this work, Fr. Stephen S. Wilbricht, csc, emphasizes the link between Baptism and death, assisting Christians in grasping who we are called to be in this life as disciples and who we are promised to become in eternal life as saints. As the author points out the centrality of baptismal identity to the funeral liturgy, he makes apparent that the union established at Baptism continues until all reach Christ. Such an appreciation for life in the Body of Christ will help the community recognize both their responsibilities at the death of a member and the union that remains with that member as all journey to the divine. 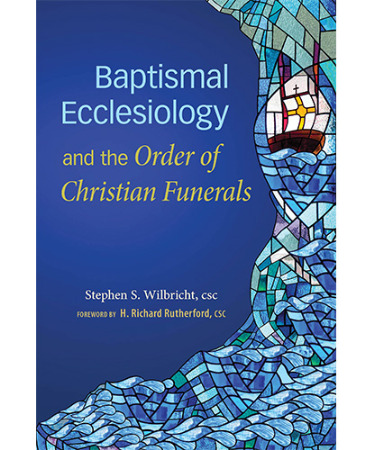 Wilbricht explores the Church’s theology of Baptism and death, and provides pastoral suggestions that will encourage communities to carry out their commitment to care for the grieving and bury the dead.